To highlight Giving Season 2015 events and opportunities, as well as the the life-saving work of our Recommended Charities, we are putting out this mid-November edition of our newsletter and will be adding a mid-December issue as well. On December 1st, Peter comes out with a new short book, Famine, Affluence and Morality, based on his original piece from 1971 in "Philosophy and Public Affairs." Please encourage your family and friends to buy and share this important publication. 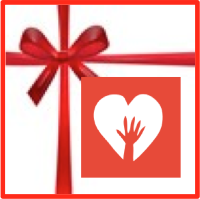 Also on December 1st, we will be announcing our Recommended Charities for 2016 on our website and in the newsletter. And remember that December 1st is "Giving Tuesday" as well as World AIDS Day. I remind myself that "Giving Season" is a wonderful opportunity for all of us to reflect on our relative affluence and what role we play in reducing other people's suffering. I personally have been thinking more and more about my own role since becoming Executive Director in 2013. At that time, I wrote a blog about personal best. Most of us fall short of our effective giving ideal. Rather than beat ourselves up, let's all just try to do better in 2016 than we did in 2015. That means researching our donations more carefully, talking more with family and friends about the critical issues related to extreme poverty, and giving more generously. Giving more generously may or may not involve reducing your personal consumption or savings, but considering giving instead of spending or saving is certainly a worthwhile exercise for all of us. Encourage family and friends to turn the holiday gift season into a time to donate to helping the millions living in extreme poverty. Instead of drawing names and buying Christmas sweaters, they can reduce suffering and save lives -- the best gift of all. Share information about how to get the most bang for your donation buck. Share our website with those in your circles along with a personal note explaining why you support charity X or Y and asking them to consider doing the same, or to choose their own favorites from our list of sixteen great organizations. 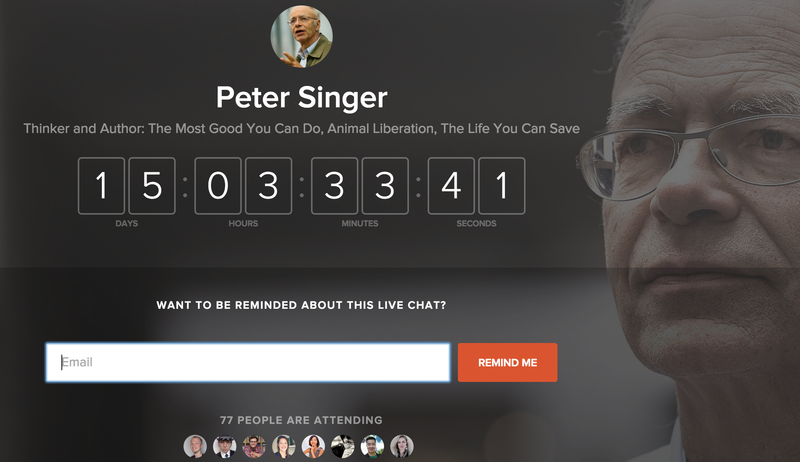 Another way to help spread the culture of Effective Giving in the coming weeks is to invite family and friends to view and participate in two live chats with Peter Singer: Product Hunt Live, November 30th from 12-1 PM Pacific/3-4 PM Eastern (you can sign up now); and Reddit Ask Me Anything, December 10, from 12-1 PM Pacific/3-4 PM Eastern (link forthcoming). Get ready for inspiring conversations! I feel so thankful to have the opportunity to be a part of the fight against the devastating effects of extreme poverty and to know that our organization and our circle of influence is making a difference. Thanks to all of you who make a difference. Charlie Bresler is Executive Director of The Life You Can Save, an organization founded by the philosopher Peter Singer and based on the basic tenet of Effective Altruism: leading an ethical life involves using a portion of personal assets and resources to effectively alleviate the consequences of extreme poverty. Share something you're grateful for on Seva's instagram photo contest. Help SCI reach 150 million people over the next 3 years. Attention Software Engineers--GiveDirectly is hiring! GAIN and PHC discuss the challenges of fortified food monitoring in Global Health. Possible's 2015 Annual Report--since the earthquakes, Durable Health has never meant more. IPA studies impact of political debates between little-known candidates. Alison, in Australia, asks her birthday/holiday party guests to skip the gifts and support our recommended charities. World Toilet Day, World AIDS day, Peter's online chats and new book, and our 2016 Recommended Charities list. For the month of November, Seva is having a photo contest on Instagram! Post a photo of something you’re thankful for along with the hashtag #thankfultosee. From your Instagram channel, follow and tag Seva at @sevafoundation. 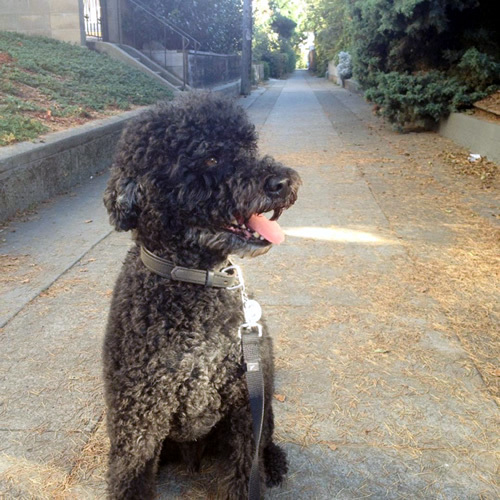 Seva will repost their favorites and pick a winner to receive a prize after Thanksgiving. 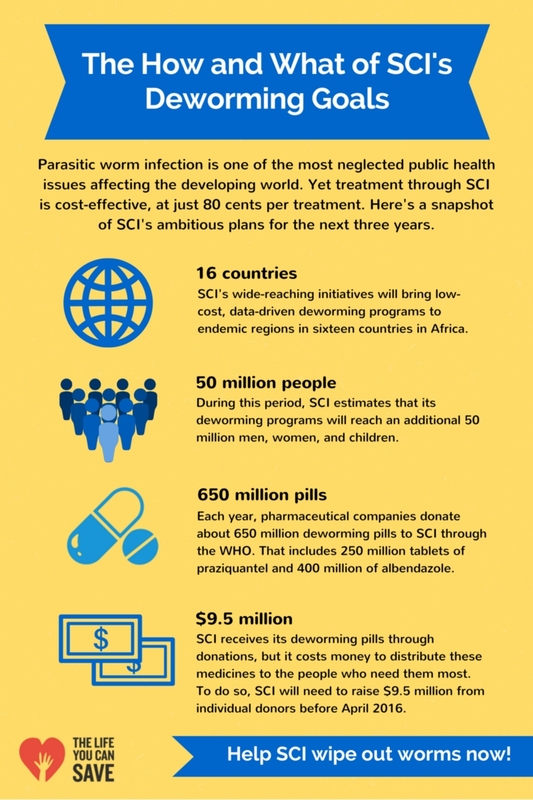 SCI has developed a spreadsheet for the ambitious treatment of over 50 million children and adults in 16 countries in Africa in each of the next three years. In order to reach these targets, SCI will need to raise $9.5 million before April 2016 and $13 million in each of the next two years. If we can raise this money we will be able to leverage some of the 250 million tablets of praziquantel and 400 million tablets of albendazole donated annually by Merck KGaA and GSK, respectively, through the World Health Organisation. Imagine--with your help, we will be able to offer an immediate improvement in health and nutritional status to over 50 million children and protect them from the longer term consequences of these infections. Calling all software engineers! Help us build a startup into a world-class organization. 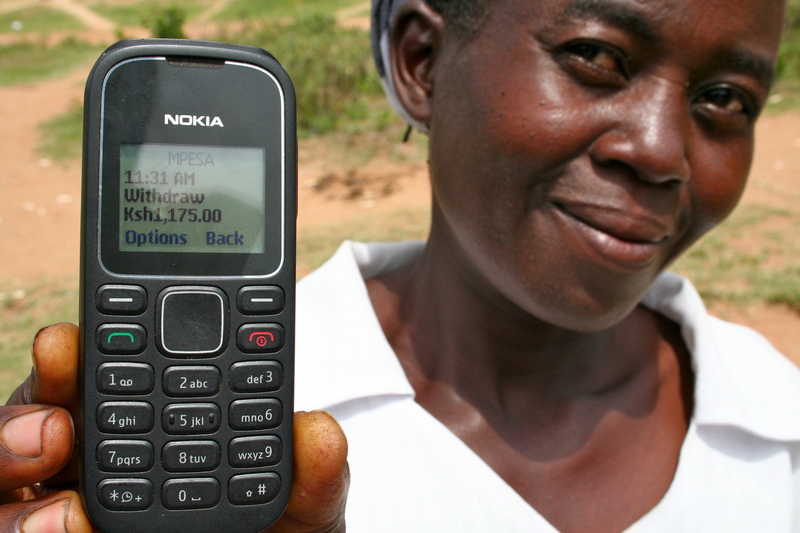 Give Directly provides electronic cash transfers to the extreme poor. GiveDirectly is looking for a full-stack developer who is ready to own, develop, and refine a broad portfolio of products, ranging from mobile and web applications to backend data integrations. More information and other GiveDirectly job openings here. While fortification of staple foods has gained enormous global traction, poor performance persists throughout many aspects of implementation, most notably regulatory monitoring. 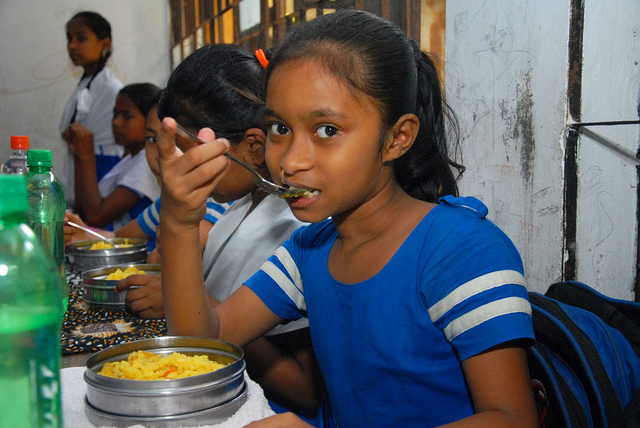 Currently, there is limited data on how compliant fortification programs are globally. Of the data that does exist from 25 GAIN-supported national fortification programs, only 45-50% of samples are adequately fortified. This unweighted average indicates a systemic problem with compliance. Improving regulatory monitoring is essential for ensuring foods meet standard and ultimately have a nutritional impact. Using semi-quantiative surveys completed by individuals from regulatory agencies and industries across 17 countries, GAIN and PHC aimed to better understand the barriers and good practices around regulatory monitoring. To see the findings of this important paper, published in the September 2015 edition of Global Health: Science and Practice, click here. 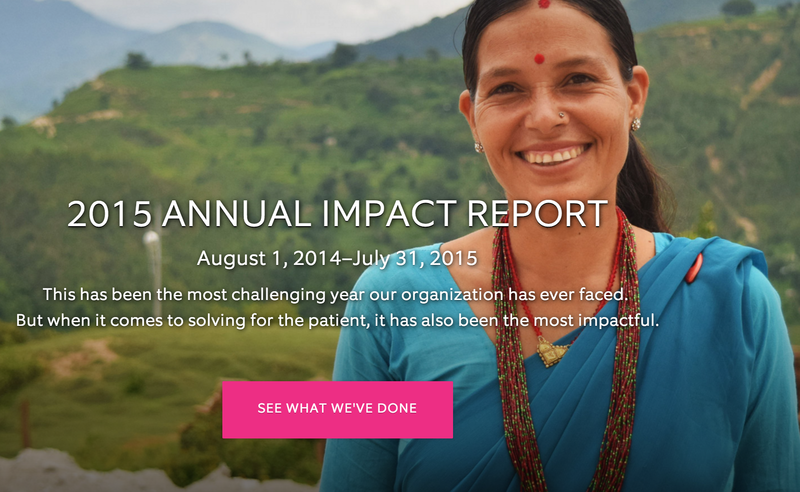 This year's Annual Impact Report reflects an expanded commitment we could not have imagined on April 24th, 2015. We've been building healthcare systems to serve Nepal's poor for seven years. When the earth shook on April 25th, giving a devastating acute shock to a chronically weak healthcare system, the need for the work we do with your partnership was revealed with unprecedented clarity. In this tragedy, we saw the sharp limits of healthcare as it was—too few clinicians, a paltry set of supplies and equipment, no digital system to track patient health histories, and most obvious of all: facilities that weren't designed to survive a shock from the earth. This report shows what we accomplished before the earthquakes, and it highlights our commitment to expand our durable healthcare model thereafter. In the wake of such tragedy, perhaps the only benefit is we can choose to move away from building things as they were, to building them how they ought to be. Your partnership enables us to make that choice. Thank you. Impact of debates between less well-known candidates. Two Sierra Leone Parliamentarians participating in a policy debate with a moderator. Credit: Innovations for Poverty Action/Allyson Barnett. 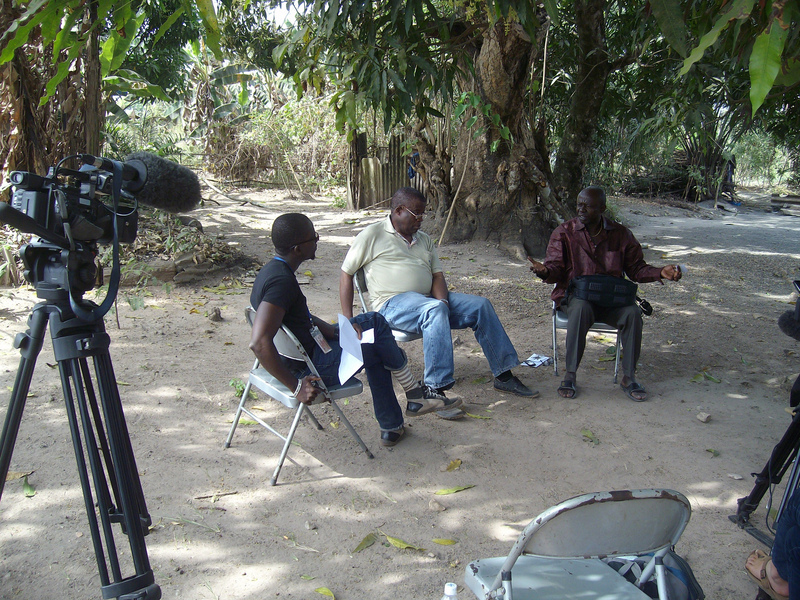 A recent article in the New York Times explored the strategy and results of an IPA study in Sierra Leone about the impact of debates on voters. Search for Common Ground, a conflict-prevention NGO, held parliamentary debates in 14 competitive districts. IPA and their partner J-PAL, along with researchers from Stanford University, managed the study to "see how much the debates changed the behavior of voters, candidates and elected officials." Read about their findings in the article here. I will be asking if you could let me know either before or on the night, how much you donated and to which charity so that I can tally the total and share with you all how much we made. We can keep it anonymous!! 2.5 billion people lack improved sanitation; 1 billion lack any access to a toilet, and have to defecate in the open, denying them basic human dignity as well as safety, especially for women. See the UN's World Toilet Day website for great information, ideas, and reports on progress. 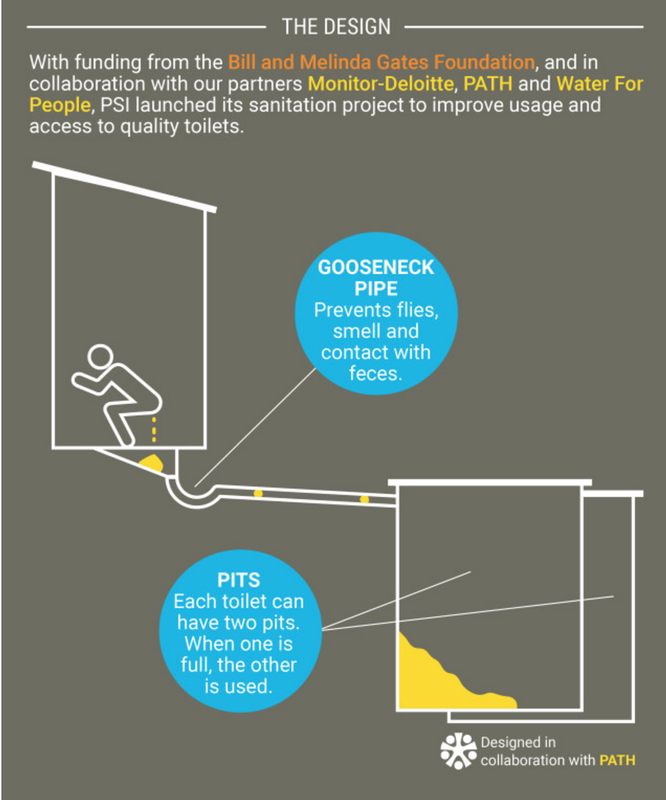 Also, see PSI's article and infographic about supplying over 10,000 toilets to one of the poorest states in India. Peter will be answering your questions during a Product Hunt LIVE chat on November 30, from 12-1 PM Pacific/3-4 PM Eastern. Sign up to chat with Peter and get ready for an inspiring conversation!